KayKiSpeaks.com: Congratulations!! 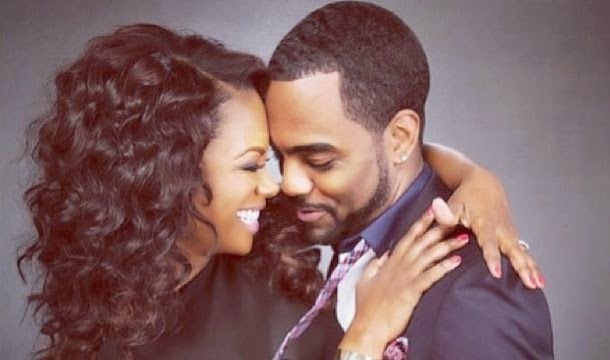 Kandi Burruss and Todd Tucker Are Married! Todd and Kandi were surrounded by good friends and family as they said "I do". Longtime friend and former bandmate Tameka "Tiny" Harris among others shared their excitement for the two and their big day. While people around them seem to really love them together, and fans feel the same it seemed Kandi's mom was not interested in seeing her daughter with Mr. Tucker. Thankfully, that seems to be behind them as Kandi had the wedding of her dreams to the man of her dreams yesterday. Word is Mama Joyce has decided to just love and support her daughter and stay out of her relationship- Go Mama Joyce! Kandi is honestly one of the most genuine and good energy celebs I've encountered while here in Atlanta. She doesn't have an air of illness about her. Good people deserve happiness, and I'm wishing many blessings upon this new union. I hope their journey is long and fruitful! Congrats Tuckers!!! Kay I wonder what her mama really feel and if she was a real support at the weddin. Either way I am happy for Kandi.